I'm taking a short break from writing about early women performers to focus on a man who was born in my adopted town. He started in theater here and went on to be known as the 'man with a thousand faces'. It seemed appropriate with the coming of Halloween. For those who are wondering the man is Lon Chaney. That is Lon Chaney Sr. not his son who was also an actor. So who was Lon Chaney and why do I love his story and work? Lon (Leonidas Frank) Chaney was born April 1, 1883 in Colorado Springs, Colorado. His maternal Grandfather founded the Colorado School for the Education of Mutes (now the Colorado School for the Deaf and Blind) in 1874. His daughter Emma Alice Kennedy, was was deaf. She met Frank H Chaney, also deaf, at the school. The couple had four children, John, Lon, George and Carolin. The story is Chaney went through fourth grade,then due to family hardship, Lon quit school to find a job and help out. News articles after his death claim he worked as a guide on Pikes Peak. He got a taste of the theater when he worked as a stage hand at the Colorado Springs Opera House in the 1890s after his brother John helped him land the job. The review for his first appearance in front of the curtain read "As a comedian he is irresistible and it would be hard to find his equal in the dancing among many first class vaudeville performers." 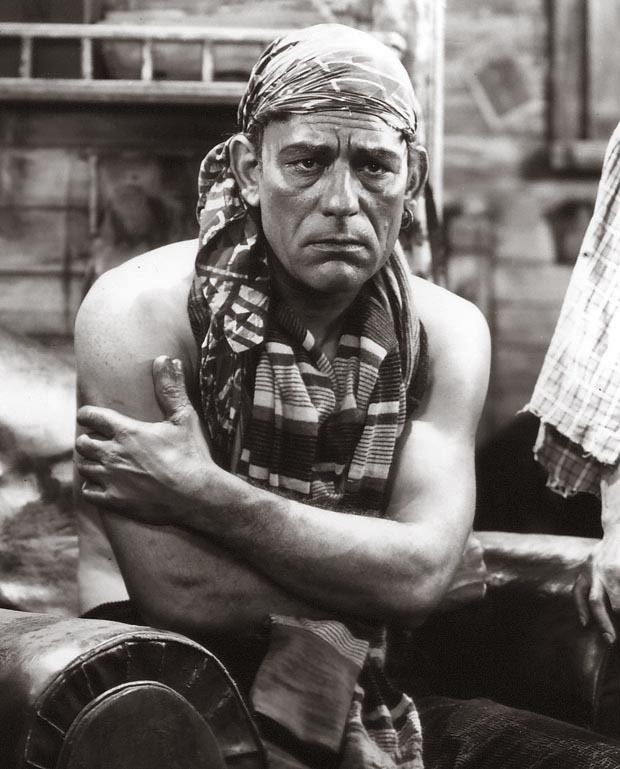 It was after moving to California that Chaney started working in film. He was an actor, writer and director, but it is an an actor we know him. Lon Chaney, [as an actor] I believe, is writing his signature on the page whose ink is not yet dry. And I believe it will be in years to come a bold, vigorous impression, easy to read and remember. Chaney is an actor who, once seen, is never forgotten. He may not win your unqualified approval, with his extreme characterizations. He may annoy you more than inspire, with his hideous makeups of clouded eyes, twisted limbs or dangling teeth and a formless head. But you remember him! His mask may be to some a nightmare but the force of his acting is strong enough to make itself felt through a disguise of putty and false hair and iron clamps that would annihilate the most potent of actors. And in the end, no matter how repulsive the characters he plays, no matter how implacably villainous, he always becomes a hero — a tragic one, perhaps — who gains your sympathy and touches the heart. "When I saw my first picture on the screen, a comedy, I wept!" And Lon Chaney grinned cheerfully, now that it was all safely in the past. "I had been playing a musical comedy and naturally supposed I could get over in pictures. In fact, I recall thinking how I would knock Ford Sterling — cold. As I considered Sterling a great artist, you see, I was aiming high. "Instead of dealing him a blow, I gave it to myself, I was crushed, motor mortified, discouraged — oh, desperately discourage. I thought if this is screen comedy I'll go back to cold and dill, for at least my humor was welcomed on the stage. "Positively, I did the most unfunny things imaginable before the camera, and for the life of me I couldn't get the idea. Well, I made three attempts, each worse than the last. Then one day, disgusted with my failure, I gritted my teeth and determined I'd win or die in the attempt. "That very afternoon I ran into Jack O'Brian out on the lot: he was directing Jeannie MacPherson who wrote this scenarios and was being featured. Harry Van Meter was the lead. O'Brian told me he was looking for a heavy. I felt so discouraged with my comedy, however, that I thought I might as well take a chance, so went at it. "Well, I made good, and Jeannie then wrote two stories expressly for me, one had a weird hunchback role — great! This was when I began the study of makeup. In musical comedies you can paste green whiskers on your chin, do a funny little dance along with your song and get away with it, so I knew nothing about makeup, but having embarked as a heavy in motion pictures I went at it heart and soul. That story with the weird hunchback is what launched Chaney into the stratosphere. As part of his method, Chaney wore a pack of steel on his back, a steel vice which distorted his legs and of course the heavy on his face to portray the doomed man. Lon Chaney died August 26, 1930. For more intense reading, I recomment the books, both by Michael F. Blake. "The Man Behind the Thousand Faces" and "A Thousand Faces: Lon Chaney's Unique Artistry in Motion Pictures"
Until next time, enjoy the remains of fall, don't eat too much Halloween candy and keep those eyes reading and those fingers writing. Drew tried to remember the quote he used to say to get him through the days in solitary. He wanted to stop the noise, but every time he tried to recite it in his mind, his head began to sear with pain. It was an effort to hold the thought, but hold it he would. "You have power over your mind, not outside events. The choice you make defines you. Gra....". He did it, he held the thought, but the rest of the quote wouldn't come. Trying as much as he could, the rest was just out of reach. The pain was so overpowering he let it go. Still, the conversation looped through Drew's brain over and over growing louder with each telling. Drew tried to close out the sound, but some part of his brain told him that would be useless. Between the moments of clarity, where the smell of dust and pine intruded on his memories, Drew's world twisted around the arrest, the trial, Harold, the prison break, on and on. Then his dead mother's words interrupted his thoughts. "Andrew, what have you done?" she asked. Drew saw her, felt he could reach out and touch her, looking just like he remembered her before she was killed in an accident..
"I didn't kill that man," Drew cried, reaching a hand toward her. After three years in prison, all in solitary, he stopped trying to make people believe. Now, he had to make sure his mother knew, but the pain in his head throbbed harder. He reached up, grabbing his head. He almost missed her words. "I know you didn't, I'm sorry you had to suffer," she said reaching out to touch his face, abating the throbbing in his head for just a moment. This was so much fun to read. I, too, adore Lon Chaney, Sr. I am a Phantom of the Opera *phan*, so I've watched his portrayal of the phantom many times. In my years as a director of exceptional student services, I made many visits to the Colorado School for the Deaf and Blind for student meetings, so I'm also familiar with his familial connection to the school. He really was (is) an interesting person. I remember watching him years ago. I had no idea he was from Colorado. Great piece again. Great post again. Lon Chaney could realy disguise himself. I only was familiar with his son, so this made for very interesting reading. How amazing that must have been to be deaf parents of four children and not be able to hear what they were up to.....because we all know when children are at their quietest, that's when they up to something...and I can testify to thee mischief part . As usual, Doris, you are always interesting and entertaining. Great post. That is so interesting, Doris! I didn't know this--love this post of yours! This was such a great story to read Thank you it was interesting to read!